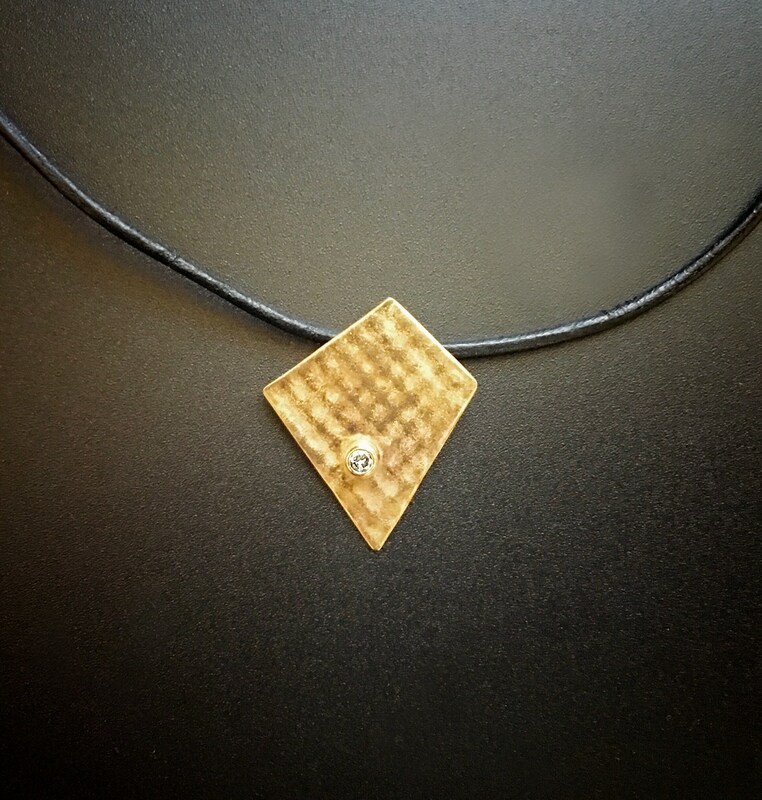 A distinctive geometric pendant features pattern-textured 14K yellow gold in an abstract shape, accented with a bezel-set .05 carat round brilliant diamond. Pendant is suspended from a 16” black leather neck cord with 14K goldfilled clasp. Pendant itself measures approximately 23 X 20mm.